IfÂ you are Apple the world knows who you are. The rest of us are defined by what people find on Wikipedia. We can put your company on Wikipedia or improve what is already there in a way that clearly tells the world who you are while engaging current and potential customers. 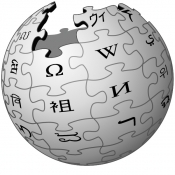 Service includes one article on Wikipedia and linking related articles to your page so people can more easily find you. Â The article will include a summary box with information about your company such as where it was founded, key people, headquarters, website, and revenue. Â The main article includes a summary of what your company does, the history, press, and detailed descriptions of a few key sample products or services. Â For an example, see the Wikipedia main article on YouTube Â http://en.wikipedia.org/wiki/Youtube. Â Client is expected to provide all copy and citations.